Gordon Hurlbert got his call to the bigs in 1992 - the hockey bigs, according to The Hartford Courant. 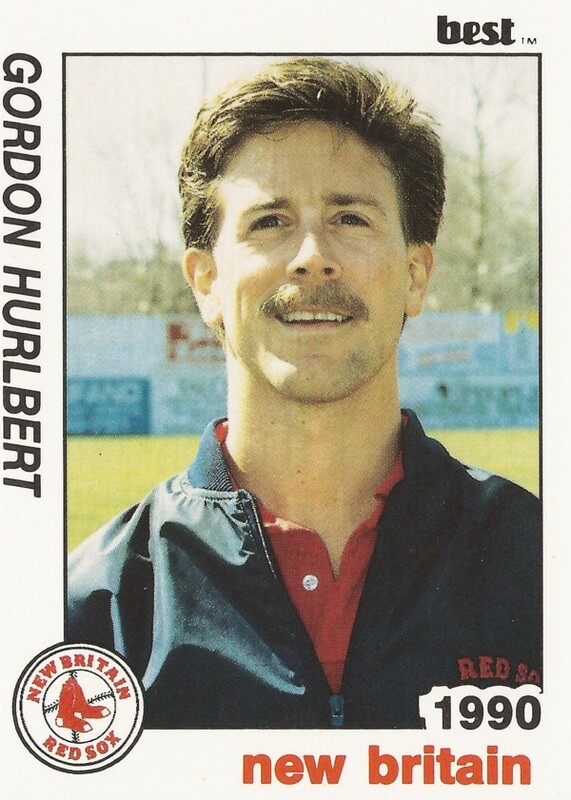 A trainer in the Red Sox system since 1989, including three seasons in his home state of Connecticut, Hurlbert accepted a job in the fall of 1992 with the newly minted Tampa Bay Lightning of the National Hockey League. "But it came to the point where the pros outweighed the cons," Hurlbert told The Courant of his decision to leave his home state for Florida. "No more sneaking into my parents' yard and stealing tomatoes from the garden. No more dinners over there. But as a career move, I had to go." Hurlbert has made several career moves since. He's also since moved back closer to home to the New York City area. Hurlbert went into athletic training out of Central Connecticut State University. He got his bachelor of science degree from there, then got his training certification in 1987, according to his Best card. He joined the Red Sox in 1989, serving as trainer for the club's Gulf Coast League entry in Winter Haven that year. He moved back home to serve as trainer for the AA New Britain Red Sox in 1990, staying there through 1992. Hurlbert stayed in Florida until mid-1994. He served one year with the Lightning and another with the Florida Panthers. He then moved on to other jobs in athletic training, including six years with Quinnipiac University. In 2016, he works in finance, according to his LinkedIn profile.